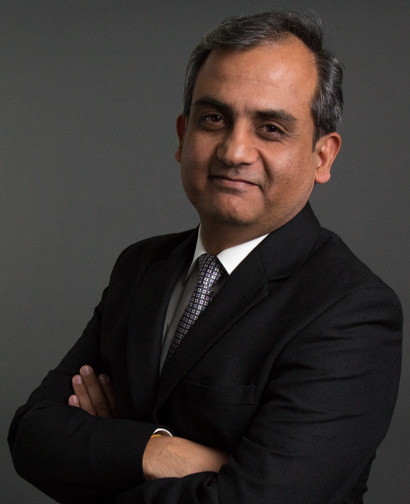 Girish Kapur, M.Pharm, MBA, is Vice President of USP-India Site Operations. In his role Girish focuses on the Science and Standards Division including Operations and Human Resources. Girish comes to USP with a wealth of knowledge and industry expertise. He has held leadership roles at Novartis, Pfizer and Ranbaxy. He started his professional career in the year 1998 as a Research Associate in Ranbaxy Research labs Gurgaon where he led a team working on Para-IV First to File products. Girish moved to Pfizer Research and Development (R&D) in Navi Mumbai in 2008 and was Head of Analytical R&D in his last role at Pfizer. Girish moved to Novartis, Hyderabad in 2012 and held positions of increasing responsibility. As Head of Drug Product Analytics at Novartis, he led large teams responsible for end-to-end delivery of NCE’s across multiple therapeutic segments in a highly matrixed environment. Most recently, he served as the Head of the R&D site, Operational and Scientific Support. He also served as a core member of the Novartis Hyderabad board (Site Leadership Team), Global Analytical R&D Leadership Team, and Global Drug Development Leadership Team in India.